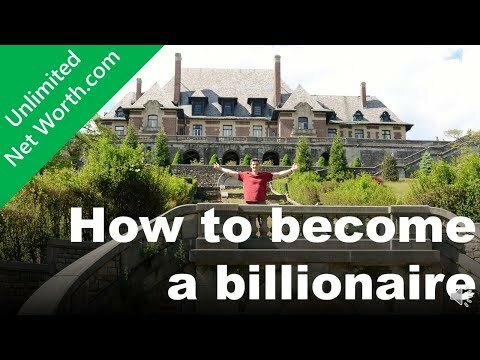 Unlimited Net Worth: Worst investing advice ever! I’ve pulled out 10 of the worst pieces of advice I’ve seen on the internet for your amusement! It’s never a bad time to invest in gold: Gold is the most popular precious metal used as an investment. It’s always nice to be able to physically see your investment, like with a house or art since it feels tangible rather than numbers on a screen. But with this ownership means you also have to pay for storage and insurance. Even worse, the capital gains on gold are 28% versus the ordinary capital gains rate of 15%. My favorite example from Wikipedia outlines golds high volatility rate compared to stocks and bonds: …”while a dollar invested in bonds in 1801 would be worth nearly a thousand dollars by 1998, a dollar invested in stocks that same year would be worth more than half a million dollars in real terms. Meanwhile, a dollar invested in gold in 1801 would by 1998 be worth just 78 cents.” I will stick to investing in stocks and my only gold investment will be my wedding ring. You don’t want to be the richest man in the graveyard. While I agree with the sentiment of this quote, it sends the wrong message that validates people into thinking they should spend their money now (YOLO!) rather than save it in a miserly Grinch-like fashion to the end. There is nothing selfish in saving for retirement and ensuring you have planned your affairs so you don’t outlive your savings. Per his Giving Pledge, Warren Buffet pledged to give 99% of his wealth to charity on or before his death. His logic for waiting until his death to pledge the full amount is that he can make the most of his money during his lifetime to ensure the largest donation. It’s wonderful we have people like Warren who are the richest man in the graveyard and have a plan for their finances. It’s better to buy things now since money may have no value and at least you will have your things. The ones saying this are also the ones who say there will be a Zombie apocalypse and you would be better off buying a new car than investing in a future non-existent stock market. The resale values of discarded merchandise are never what you hope they are and I’ve sent too many items to Goodwill because of poor impulsive purchases. It’s better to save now and earn more money off your money than purchase an item that will not bring you any further value. Buy stocks in companies whose products and services you like. I like a lot of things that most white girls like, like pizza, shoes and yoga pants, but that doesn’t mean I am going to invest in stock in Dominos, Zappos and Lululemon. Just because I like an individual product doesn’t mean the company as a whole is a solid investment or I know anything about the company’s financials. You need to invest in the whole market and not just one small segment that you think you know because you live near a Dominos that seems to be popular. Cash is king: Some advisers recommend keeping some assets in fixed investments, like bonds and cash. This is because of the flexibility and stability in knowing that you can never lose the investment. This reminds me of the old Parable of the Talents from Matthew 25:14-30. A wise man was going away and gave his 3 servants talents. The first two doubled their talents upon his return. The 3rd servant was scared of his master and hid the talent in the ground and returned it to the man upon his return. The 3rd servant was rejected and cursed by the master for not returning a value on the investment. Investing in cash is much like this strategy of putting your money in a hole and pulling it out when it is needed- even the Bible tells you it is wrong! You literally lose money by this strategy due to inflation. The housing market always goes up! This quote is often accompanied by a homeowner’s heartwarming story that they bought their home 30 years ago for $100K and now it is worth 5x as much! It seems like such a great investment since you have to live somewhere anyways and it’s like a forced investment strategy by paying your mortgage. Plus, the tax incentives. Well, owning a house is no longer the American dream. Foreclosure rates are at their highest and the real estate market is volatile. Imagine the “great investment” that homeowner made if they bought their home in Detroit or New Orleans 30 years ago? Housing has an annualized appreciation rate of just 2% while the average annualized growth rate of the S&P 500 is 10%. Where would you rather put your money? Invest when the market is hot! If everyone is saying the market is hot, then it most certainly is not the right time to invest as you’ve already missed out on much of the gains. Investing is a long term strategy and you shouldn’t pull your money in or out due to the expected daily ups and downs of the market. Sadly, you can’t time the market. I have a great stock you need to buy (hint, hint). If your barber/friend/coworker or taxi driver tells you to invest in a stock since they have some tip it’s going to be a winner, don’t take the bait! The only way he really knows a new stock is going to go up drastically tomorrow is if he has insider information, which is very much illegal and not a great idea unless you want to become new friends with the SEC. You are too young to worry about retirement. This is akin to saying “don’t worry about the future”. Rather I would like to retire young and invest in my freedom from a 9-5 job by investing aggressively. And the magic of compounding interest inside a tax-free Roth IRA makes investing young the very best option for saving for retirement. Fancy stock brokers and advisers will save you money! The tradition to clap at the close of the US stock exchanges everyday recognizes a job well done by all at the market. If the market went down or up, the applause always sounds because the stock brokers always made their money. These brokers make their cut at every sale regardless of if the sale did well or poorly for the client. Spending more on a financial advisor or stock broker is unnecessary and will just cut away at your bottom line. Invest instead in low cost strategies like index funds that return similar to the overall market without taking away an unnecessary 2%. Where are all the client’s yachts?